Discovering a loved one is the victim of nursing home abuse is likely one of the worst moments of a person’s life. It is hard not to feel partially responsible for the abuse, and believe more could have been done to prevent this tragedy. Any type of abuse to an elderly person is worthy of harsh condemnation, but one type that does not get as much attention, but leaves the victim with lasting scars, is emotional abuse. Physical abuse is easier to catch by virtue of the visible marks left behind, but emotional or mental abuse can leave a nursing home resident just as debilitated and unable to communicate the extent of his/her suffering. Nursing home residents must be able to rely on the staff at a facility for appropriate care, which puts them in a vulnerable position. Unfortunately, the rising trend among nursing home caregivers is to post private and embarrassing pictures and videos of residents on social media, robbing these individuals of their privacy and dignity. A recent article in Pacific Standard Magazine discussed this growing problem, and noted 18 nursing home and assisted living facilities had employees posting such unauthorized images over the past year alone. These actions are a form of mental abuse, and the nursing home may be legally liable to the victim for these incidents. Because emotional/mental abuse is much harder to identify compared to physical abuse, an overview of the ways mental abuse can occur, and how this type of abuse manifests in the victim, will be discussed below. In addition, the legal options someone suffering mental abuse may take against a nursing home will also be explored. isolation – keeping a resident from interacting with friends or family, or refusing to speak to a resident. sudden and unexplained changes in behavior, especially new feelings of fear, stress, anxiety or combativeness when staff members approach. the breach legally and directly caused the resident’s injuries. 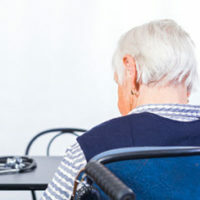 Each abuse case is unique, and an experienced nursing home abuse attorney can advise on whether additional legal bases for holding the nursing home liable could also be used to establish liability. No amount of money can undo the damage caused by abuse, but compensation can allow the victim and his/her family to get the medical and psychological support they need to start recovering. The Miami law firm Pita Weber Del Prado understands how difficult these cases are, and the attorneys know how to fight to get the compensation you deserve. Contact us today for a free consultation.